Modular Housing: A temporary solution doomed to be permanent? €100k for a prefab or €185k for an actual house? "Recovery"? I hate the word. Give us an alternative! There are many "Children's Burial Grounds" or Cillíní in Ireland, dotted throughout the country. 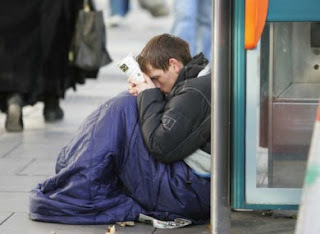 It is essential to note that it has taken the deaths of multiple homeless people on the streets of Dublin for the government to even consider addressing this urgent issue. For years they have happily ignored it while implementing policies which served to increase the amount of people without a home to call their own. Thousands of people across the country live in hotels and bed and breakfasts as there is inadequate access to affordable housing. Hundreds more live in homeless shelters or on the streets. The solution to this issue is apparently "Modular housing". "Modular housing" basically means glorified prefabs. Recently a number of examples were exhibited to the Dublin local authorities. Six companies (including Ronakabin, a subsidiary company of Denis O'Brien's Siteserv) showed off their wares. The proposal to house homeless families in up to 250 of these two bedroom units seems to be gathering pace with DCC signing off on the plan and the Peter McVerry trust expressing support. At around €100,000 a go these temporary units are not cheap, there will also be a number of ancillary costs such as sourcing land and ensuring the connection to and provision of basic amenities like water, electricity and sewage. The sites themselves will have to be developed. There are also concerns about the safety of these units, highlighted this week by the tragedy in Carrickmines where ten people died when a fire engulfed their prefabricated housing. On the other hand the average cost of constructing a social housing unit (an actual bricks and mortar house) is €185,000 according to the Irish Times. In the grand scheme of things €85,000 extra for a permanent, secure house is very little. While the interiors of these modular housing units are undoubtedly impressive we need to ask ourselves if the millions apparently destined for these units would not be better spent on actual houses? There is also the possibility that the government may look at leasing these units from the private companies rather than outright purchasing them, enriching private business interests rather than investing in social assets. (which brings us back to Denis O'Brien) If something is worth doing, is it not worth doing right? 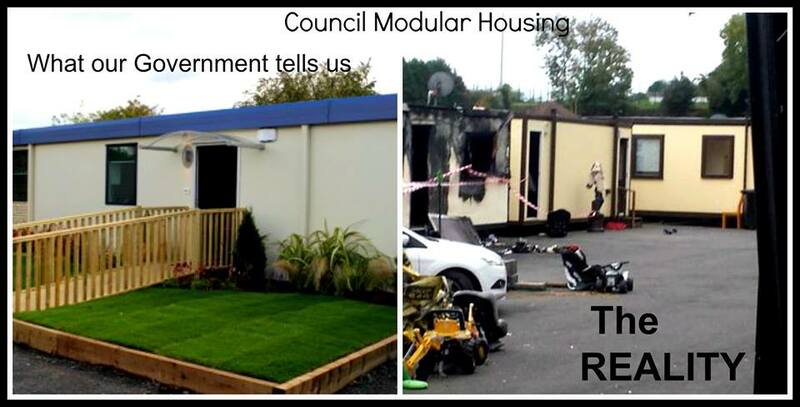 We have been reassured that modular housing units will represent a temporary part of the solution. But how long is temporary? One year? Five? Ten? Sixty to seventy years? That is stretching any definition of "temporary". It is easy for those of us not huddled in doorways or trying to live out of a hotel room with our families to "turn up our nose" at modular housing. It is absolutely correct to say that in a crisis like this any action is preferable to none and that modular housing would help people and perhaps even save lives in the short term. But even in times of emergency it is necessary to apply some critical thought to any proposals and to ask if the proposed steps will deliver a solution, if the facts and figures stack up and if the idea makes practical sense. While any efforts to address the crisis are to be applauded there is a need to be realistic about things. The past is the greatest indicator we have as to what form tomorrow will take. There is a great deal to indicate that once the homelessness crisis is out of sight it will once again be out of mind for the government and people will be left to languish in these modular housing units for decades to come. When I initially wrote this blog post I was working with provisional sums when discussing the costs of modular housing units versus that of conventional social housing. It turns out that these figures were grossly incorrect. It has now emerged that the cost of constructing a modular housing unit is in fact far higher than the €100,000 figure I quoted. Almost double in fact, each unit will cost €191,000. This is more than it costs to construct an actual house. As predicted this enterprise is shaping up to be an ineffectual waste of money. Thumbs up for Recovery at Davos. With the general election seemingly destined to take place in late November of this year the narrative of the campaign will be dominated by one word; "Recovery". 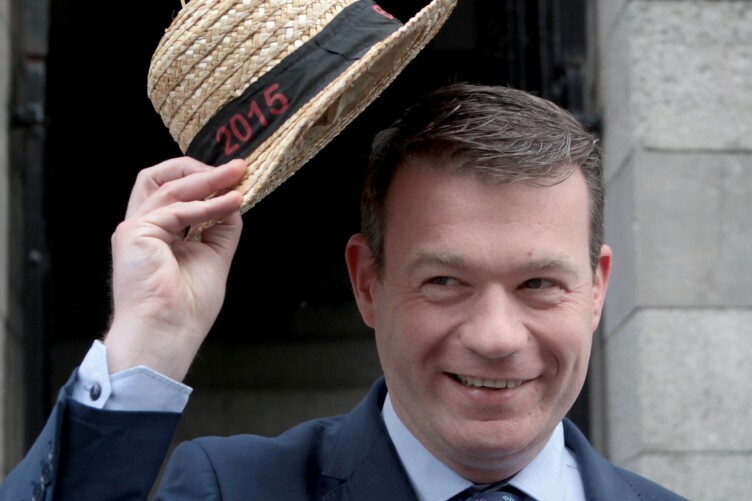 Labour and Fine Gael will trumpet that they are delivering a recovery, pointing to unemployment figures, increases in GDP and other economic indicators. 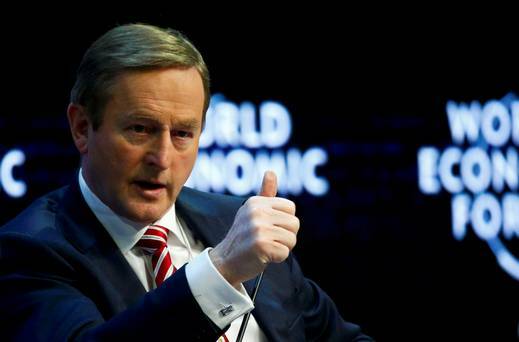 They will also brandish their bag of goodies in the form of the recently announced €27bn capital investment plan. The opposition will maintain that all is not as it seems with the economic figures, that they do not tell the whole story, pointing out that many have not seen any improvement, that the "recovery" has not filtered down to much of the middle and working classes. That many of the new jobs are of poor quality, low paid and insecure with low hour contracts. They will also rightly point out that schemes like jobsbridge as well as continued emigration mask the true reality. It will also be hammered home that the policies of Fine Gael and Labour have favored the wealthy and left behind the majority, that inequality has increased and that the most vulnerable in society, the very young, the sick, the disabled, the old, have been the harshest hit by austerity and that this has been by design. 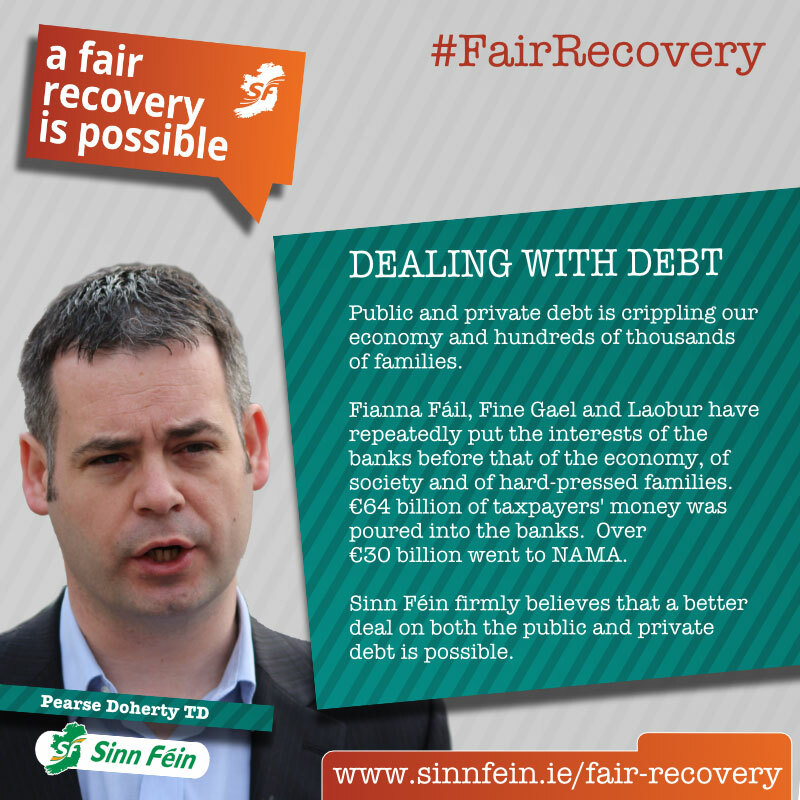 They will, as Sinn Féin for instance have stated, argue for a "Fair Recovery" or as Paul Murphy of the SP/AAA puts it; a "Real Recovery". All of this is fair, true and laudable enough but we need to ask what is meant by "recovery"? To take it at its meaning it suggests a return to normality or to how things were before, to the state of affairs prior to the great calamity of austerity. But do we really want to go back? Do we want a "recovery", or to build something new? This is not to suggest that Sinn Féin or any other party on the left are in favour of "going back" but my point is that the "recovery" narrative of the establishment parties needs to be challenged in it's entirety. The Celtic Tiger of boom and bust is not something we should wish to return to. This cycle is something which is systemic in the capitalistic system, so in that sense it is "normal". Do we want to "recover" this normality? A "recovery" in the meaning of the establishment parties is not something which is desirable and this point needs to be made, any "buying in" to the recovery narrative suggests, subliminally at least, that things are heading somewhat in the right direction. We need to examine in greater detail the facts and figures behind the Celtic Tiger. The economic growth was almost solely based around the construction/property bubble and the resultant financialization of the economy with ancillary employment in that area. In terms of fundamental growth in the economy there was very little, it was all about the bubble and it was always destined to burst. Far from ordinary people getting rich, they got poorer. Wage levels in recent decades have largely stagnated but instead growth has been fueled by more readily available credit. 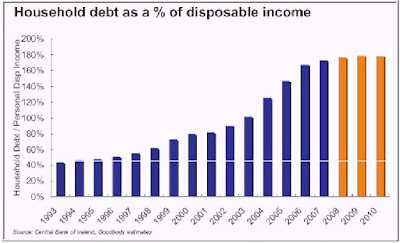 We can see from the table below how debt rocketed thoughout the "good years". Despite the on-going "recovery" Irish households are the third most indebted in Europe. The Irish government, and its people in general have been lucky that interest rates have remained extremely low, it is this which has facilitated the "recovery" more so than any policy over which the Irish state has direct control or influence over. Given the debt levels and openness of the Irish economy we are extremely vulnerable to any international "shocks" even those as straightforward as small interest rate increases. We are at the mercy of the international finance system. Given the small size of the Irish economy perhaps this is inevitable but our over-reliance on FDI to provide jobs and industry is something which is self inflicted. To get back to the point of this article, we should not look for a "recovery", we should look for an alternative. To those with original ideas and those who seek to build a sustainable alternative, one which puts as much control as possible in the hands of the Irish people and not that of international bodies, markets or oligarchs. We need to get out and support those on the left in arguing for systemic changes, not mere tinkering around the edges, otherwise we will find ourselves going down the same road again. We need an alternative to what went before, not a "recovery". After the horrific discovery of the mass grave of 800 infants at the Bon Secours site in Tuam there has been a lot of discussion about how, where and why untold numbers of infant corpses (and others who were not wanted) were so horrifically disposed of. There are many "Children's Burial Grounds" or Cillíní in Ireland, dotted throughout the country. They are unconsecrated sites (distinct from normal graveyards) where unbaptized infants were interred. Their age varies. Some are in waste land, many others (most of the "discovered" ones) are on the sites of ancient constructions like raths, cairns and ringforts. Most are unmarked. Some are yet to be uncovered, others have been bulldozed away. I have often wondered if the myths of "faeries" and curses surrounding ancient sites were told by adults to children, not wanting to tell them the truth, in order to scare them away from the graves of the infants and other outcasts who were buried there. You can find the location of many of these sites by using the National Monuments Service interactive map. 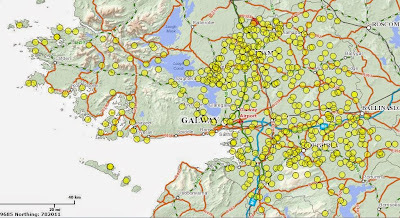 If you go onto this map and select "Chidren's Burial Ground" in the search window you will find the location of many, but not all, of these grave-sites. You must search by county as there are too many (thousands) results to show if you search the entire country. 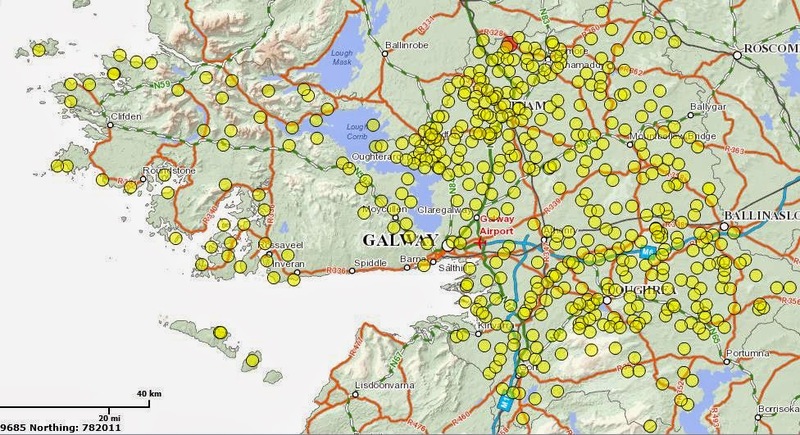 Sites marked as "Children's Burial Ground" in County Galway. There is a massive correlation between these grave-sites and ancient historical antiquities. In many cases the excavation of the latter led to the discovery of the former. This map, of course, leaves out the grave sites which are not marked on maps. Locals, in rural areas especially, may be able to point out unmarked "Cillín". Undoubtedly not all of the grave sites are as particularly horrific as the one in Tuam where infants seem to have died of preventable ailments such malnutrition (in other words sheer bloody murder). No doubt many infants buried in these graves died of entirely natural causes. Others will predate the mass grave in Tuam. Some will have had only a small number of infants buried there. Nonetheless, the existence of these hidden grave-sites is very disturbing and further investigation is needed, particularly of ones near former workhouses and "Mother and Baby homes". The site in Tuam is unlikely to be unique. Below I have embedded an article entitled "Outside of life: Traditions of Infant Burial in Ireland from Cillín to Cist" by Nyree Finlay. It was published in the World Archaeology journal in 2000. It is a very informing read and explores in considerable detail the practice of infant burial in Ireland, shining a light on a particularly disturbing aspect of Ireland's history. "Croppies acre" is situated just in front of Collins Barracks (National Museum of Ireland) in Dublin. Hundreds of "croppies" (United Irishmen) were buried here in a mass grave following their execution during the 1798 rising. Up to 300 United Irishmen and sympathizers (suspected or otherwise) are buried here, however we only know the names of a few. The most prominent of these were Bartholomew Teeling and Matthew Tone, (brother of Theobald Wolfe Tone) who were both hanged at Provost Prison on Arbour Hill before their bodies were dumped into the "Croppy Pit". Their resting place lay unmarked for hundreds of years and this disgrace finally came to a head in the late nineties when plans were drawn up to turn the site into a carpark for the nearby museum. Following a lengthy and vocal campaign the government capitulated and designated the site as a 1798 Memorial Park. Significant monies were spent developing the site into one worthy of that designation, and the result was very fine indeed. Some 35,000 Euro was spent rejuvenating the site in 2011 and the displaced Anna Livia statue, formally of O'Connell street, was relocated to Croppies Acre. 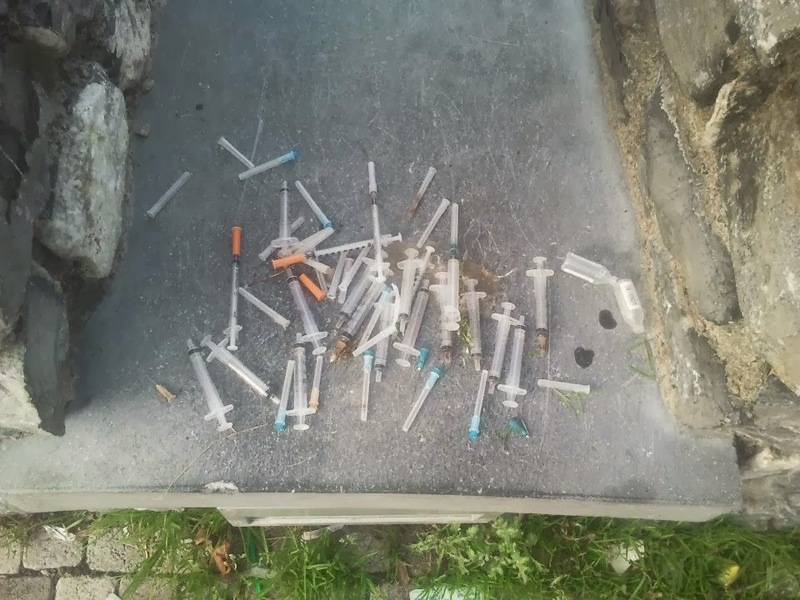 However since then the site has been disgracefully neglected and has as a result become a haven for anti social activity and drug taking. It is now closed to the public, with the gates permanently padlocked. The Memorial Park has seemingly been given up on and left to rot. 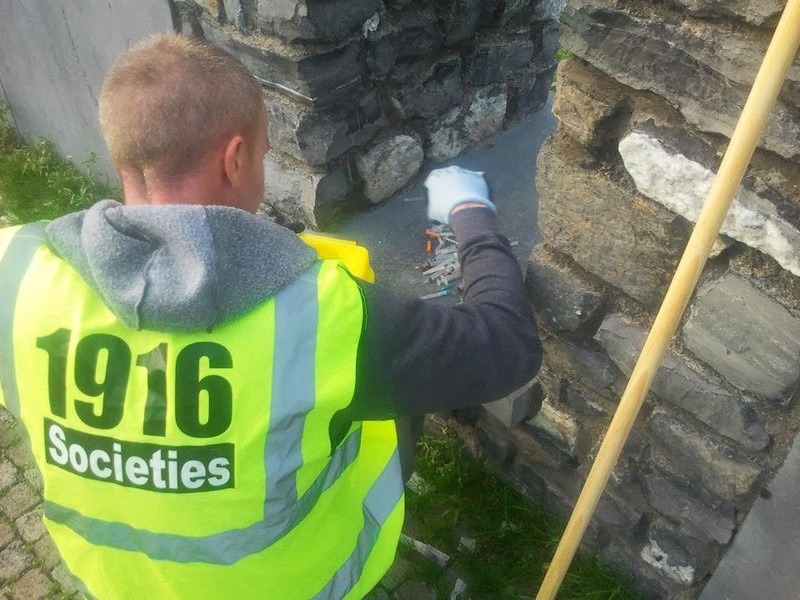 The Seán Heuston 1916 Society recently took steps to raise awareness about this criminal neglect and their members carried out a clean up of the site. The pictures were shocking. Reproduced below are the final letters written by Matthew Tone and the final statement of Bartholomew Teeling. They give an insight into the character of these men, and I publish them here in the hope that they will energize readers, motivate them into taking steps to ensure that their sacrifice is not forgotten and their final resting place is given the care and respect it deserves. Both of these patriots lie buried in Croppies Acre along with hundreds more like them. 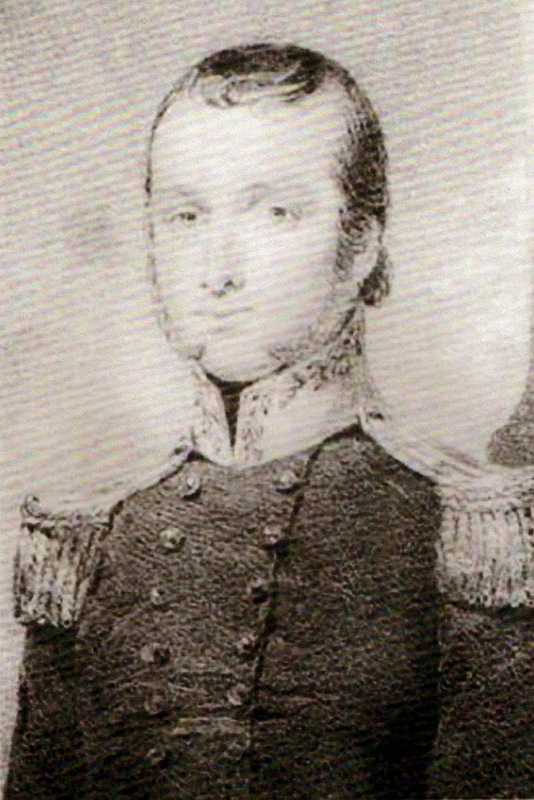 Teeling and Tone were both part of the French landing in Kilcummin led by General Humbert. Tone's first letter gives some account of events. The day I embarked at Rochelle, I wrote to you, in the letter, I gave you account of our Force, but, as it might have miscarried, I shall repeat its contents. We are nine hundred Infantry, and about one hundred Chasseurs and Cannoniers, with twenty or thirty officers a la suite. We have, besides, three field pieces, six thousand stand of arms, and a very adequate quantity of ammunition. I should also mention a large quantity of helmets and odd clothing of various colours which the General found in the magazines at Rochelle. Pat will look droll in a helmet without any corresponding article of dress. To come to our actual situation. Yesterday morning we arrived at the mouth of the Bay after a passage of thirteen days without seeing anything. We stood up toward .Killybegs harbour with a light breeze, and got within two hours' sail of our landing place when the wind died away. This is dammed unlucky, and has entirely deprived (us) of the advantage of surprise. The wind springing up contrary in the evening, we stood right across the bay to the County Mayo, where Killala, I believe, affords a place proper to debark. Night, and the want of a pilot obliges us to anchor in the middle of the bay. This morning, we are underway again, endeavouring to get into Killala, the wind not very good. I refer you to the map where you will see that we are both in sight of Killybegs and Killala Bays without the power of entering either - Pause here, my friends, and pay a compliment to my Patience, which suffers me to write in such a situation you cannot expect any coherency. We are surrounded on all sides by very high mountains. If there is any aristocrat within ten leagues of us with his glass on the top of some hill watching our motions and sending expresses in every direction these are pleasant speculations. I hope the rogues won't have the wit to destroy all the fishing boats round the bay for we are in great need of some to help us to debark. We have not as yet seen a single boat round the bay; on dit that we shall be in Killala in a couple of hours. Our Grenadiers will debark in their own boats, and if there be any fishermen, the rascals shall be made useful. I have no more to add; you shall have a line from me written on the back of my hat, I have seen a print of Bonaparte in that attitude. I ask pardon of the Gods for having repined; we are clear in with Killala and have taken a little brig, a thing absolutely necesssary as our Frigates are too large to run close in. We have also some fishing boats. The pilot, who is up* [A United Irishman] gives us the best intelligence in the world. Scarcely any troops to oppose us and Jemmy Plunket is at the head of the insurgents who are up in the County of Roscommon ; we have also taken a Lieutenant in the Prince of Wales' Regiment of Fencibles, going from Sligo to Killala, to take the command, or rather to join a company of Infants there, ditto a gentleman of Sligo, with him, a yeoman. They, I believe, are aristocrats. I offered to lay a guinea that if we please, we will be masters of Sligo tomorrow, without firing a shot at six. God bless you. Postscript shall be dated from Killala ; en attendant I apprize you that we hear nothing of any other squadron having arrived. Burke considers this letter as from himself. Yesterday evening we landed, and drove sixty yeomen and regulars like sheep before us, a few of our Grenadiers only were landed and engaged. We killed twenty and made a dozen prisoners. The people will join us in myriads, they throw themselves on their knees as we pass along and extend their arms for our success; we will be masters of Connaught in a few days. Erin go bragh. Alas this optimism was misplaced and their enterprise was met with disaster when they were defeated at the Battle of Ballinamuck. 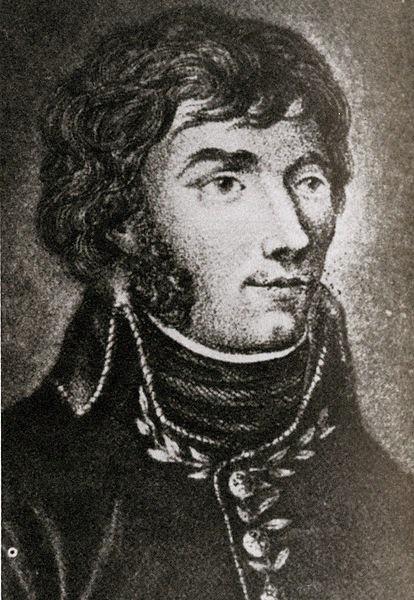 Matthew Tone and Bartholomew Teeling (a prominent United Irishman and Captain in the French Army, noted for, among other things, his heroism and bravery in the Battle of Collooney where he single-handedly disabled and captured a Britsh gunner post when he broke ranks, galloped towards it on his horse and shot the soldiers manning it.) along with hundreds of French soldiers were captured. The French were treated as prisoners of war but the Irish were tried for treason, in courts-martial, and executed. As I know from experience that suspense is the worst of all states, I hasten to relieve my friends from it ; the business is determined on - tomorrow is the day fixt. I request that no friend may come near me - sorrow is contagious, and I would not willingly betray any weakness on the occasion. Accept a thousand thanks for the interest you have taken in my affairs. Farewell. "Fellow-citizens, I have been condemned by a military tribunal to suffer what they call an ignominious death, but what appears, from the number of its illustrious victims, to be glorious in the highest degree. It is not in the power of men to abase virtue nor the man who dies for it. His death must be glorious in the field of battle or on the scaffold. The same Tribunal which has condemned me —Citizens, I do not speak to you here of the constitutional right of such a Tribunal, —has stamped me a traitor. If to have been active in endeavouring to put a stop to the blood-thirsty policy of an oppressive Government has been treason, I am guilty. If to have endeavoured to give my native country a place among the nations of the earth was treason, then I am guilty indeed. If to have been active in endeavouring to remove the fangs of oppression from the head of the devoted Irish peasant was treason, I am guilty. Finally, if to have striven to make my fellow-men love each other was guilt, then I am guilty. You, my countrymen, may perhaps one day be able to tell whether these were the acts of a traitor or deserved death. My own heart tells me they were not and, conscious of my innocence, I would not change my present situation for that of the highest of my enemies. Fellow-citizens, I leave you with the heartfelt satisfaction of having kept my oath as a United Irishman, and also with the glorious prospect of the success of the cause in which we have been engaged. Persevere, my beloved countrymen. Your cause is the cause of Truth. It must and will ultimately triumph." Jack Bennett's introductory essay to "Freedom The Wolfe Tone Way"
Jack Bennett's introductory essay to the book "Freedom The Wolfe Tone Way", written in 1972 by Seán Cronin and Richard Roche, is generally regarded as a classic example of republican literature. 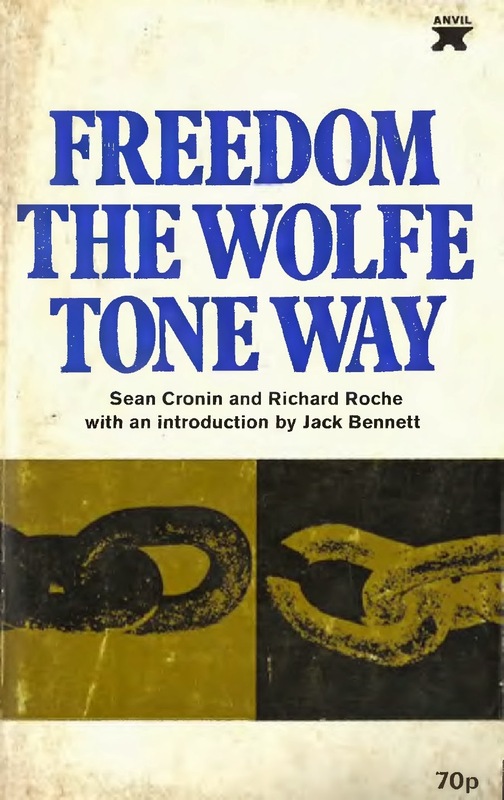 In it, in forceful style, he applies the basic principles of Wolfe Tone and the United Irishmen to modern Ireland and convincingly tackles a number of issues such as the "two nations" concept, the "principle of consent", protestant identity, sectarianism and the root causes of Ireland's problems. (See the contents page reproduced below for a better overview of topics discussed). 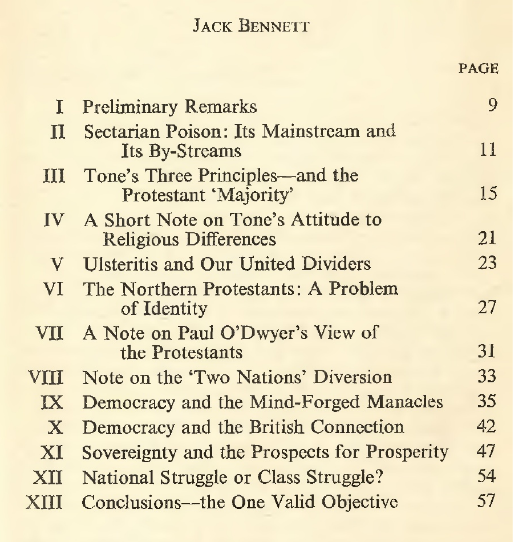 Bennett was writing from a very interesting perspective; a protestant from Belfast and the son of a senior RUC officer. A journalist by profession he was also involved in the Wolfe Tone Societies and in setting up the Northern Ireland Civil Rights Association. He had a long association with left wing politics and was very critical of much of the Irish left who often sought to hide from the national question or support the status quo by scorning the national issue as being "sectarian" and something below them. Correctly, he viewed this position as adopting - unconsciously or otherwise - a pro-imperialist stance, one incompatible with the fundamentals of socialism. Although written in 1972 his essay is just as relevant today, perhaps even more so given the political developments and the amount of traction many of the concepts he criticizes have gained. Jack Bennett passed away in 2000. "The complete book about Wolfe Tone for the times, This is a book FOR these turbulent times. It brings slap-up-to-date the enduring message of brotherhood which Tone bequeathed us, and relates that message to the problems of Ireland in the seventies. And it lets Wolfe Tone himself do most of the talking"
Unfortunately the book is long out of print and is hard to come by. However I feel that Bennett's essay is very incisive, thought provoking and worth reading, especially in today's context, so I have scanned it and embedded it below. You can download a searchable PDF file of Bennett's essay from the Scribd website at this link. If anyone would like it in a different format (EPUB, text etc) just leave a comment below. This is my personal blog and all herein is merely personal opinion expressed solely on my own behalf from my viewpoint as an Irish Socialist Republican.